We’ve all been there, 8 hours of hiking and finally you touch base for the night. However, there is one more obstacle; setting up camp for the night! This can be a gruelling task, pitching the tent – after finding a suitable spot – and all you want to do is rest. With the Grand Trunk Nano Hammock, you no longer need to worry about carting a tent up to the summit or assembling said tent. 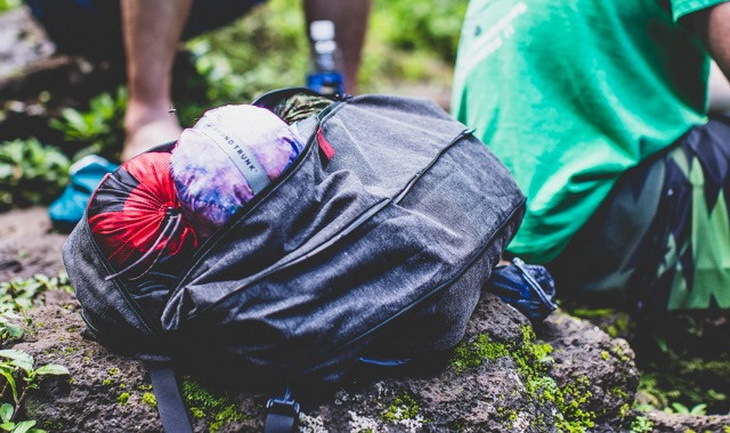 This ultra-light hammock stuffs into a compact sack and fits in any backpack. The Grand Trunk Nano 7 is designed to make your journey easier. It is one of the lightest and most durable hammocks on the market weighing only 7 ounces and supporting up to 300lbs. It is priced at approximately $70. This hammock isn’t the only sleep/shelter system on the market so let’s see how it compares to others on the market. This review is going to help you determine which hammock sleeping system is best for you and your budget. The hammock doesn’t come with straps so you need to purchase these separately. The Nano Hammock is designed from 100% Ripstop Nylon, this is an extra strong material to prevent ripping, triple stitching is also used to increase the strength of the hammock. The hammock has a recommended capacity of 300lbs, the dimensions are 9’ x 4’ and the weight is 7.3oz. An extremely lightweight and highly durable product. The Nano 7 comes in black or gray. The quality of this hammock is top-notch; the Ripstop Nylon is the highest quality fabric and the triple stitching is of a very high standard. The Nano 7 handled stress tests very well. Furthermore, the carabiners, are excellent – very strong. Many users of this sleep system have been overwhelmed at its continued durability, hike after a hike, mile after mile this product passes every test and doesn’t seem like faltering. It seems that only the sewn-on storage pocket begins to unravel over time. But, let’s face it you aren’t going to sleep on that! At only 9’ x 4’ this hammock is shorter and slimmer than almost all other hammocks on the market. The Grand Trunk Nano 7 Hammock is rated as being extremely comfortable, not only is the material super lightweight it is also super comfy. You can easily spend 3 nights of comfortable resting in this hammock during temperatures ranging from 50 to 80 degrees Fahrenheit. Due to the hammock being shorter than most it can be difficult for the taller person to get comfortable. The shorter dimensions, can make it difficult for some people to find an ideal comfortable sleeping position. Furthermore, because of the smaller dimensions, there is less slack in the hammock when stretched to the max for taller sleepers therefore you will have the feeling of being right on the edge, however, if you get used to that feeling you will find comfort at the end of the day. Whether you are camping, hiking, hanging out at the lake or reading in the garden you can find relaxation using this hammock. Many users of this hammock of all heights and weight comment on the comfort of this product. Ripstop Nylon is used to make this hammock and for good reason, it’s very durable and it’s extremely lightweight, weighing in at just 7.3oz. You will not even notice this sleeping station as you hike to your favorite view point, it is the weight of a baseball and that includes the carabiners. The Nano 7 is not designed with excess cord at the ends of the hammock instead the wire gate carabiner is used. Thus, reducing weight and bulk. Making this sleep system incredible portable and ultra-lightweight. When exploring the great outdoors, you can never guarantee how the elements will fair. There could be bright sunshine one second and a sudden downpour the next. So how does this hammock fair in terms of protection from the elements. Well, it provides great protection during the summer and fair weather, but if the heavens open there isn’t much between you and the lashing rain. Therefore, in light-heavy rain the protection is poor. It isn’t just about keeping dry when resting or sleeping, you need to be warm too. Without a sleeping bag or pad you can cocoon yourself to stay warm during a summer night, but if temperatures drop, you’ll certainly need a sleeping bag to keep you warm as there really isn’t much protection between you and the elements. The Grand Trunk Ultralight is the Nano 7’s slightly heavier, cheaper cousin. If you are just entering the hammock game this could be the one for you. It is made from 100% Polyester, is mildew-resistant, and machine washable, enabling it to stay strong and clean for years. This hammock holds up to 200lbs, 100lbs less than the Grand Trunk Nano Hammock. It weights 12 ounces, 5 ounces more than the Nano Hammock and measures 9.5 feet long by 4.5 feet wide. Which is similar to the Nano. Like the Nano Hammock this product will not offer you great protection from the elements. 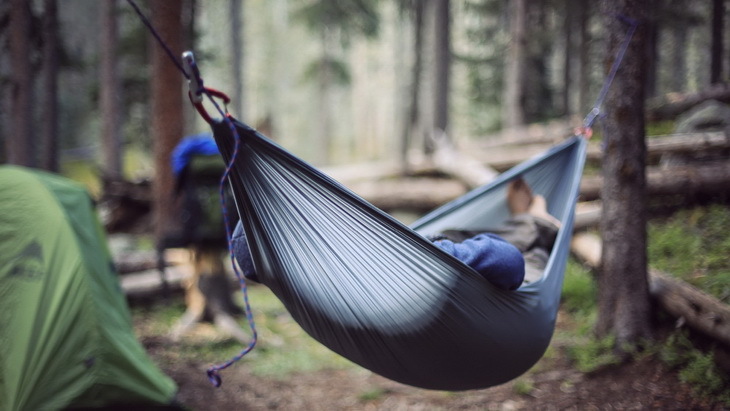 Teamed with a sleeping bag and sleeping pad you will be kept warm during cooler temperatures, but stand-alone cocooned in this hammock you will not get to enjoy a warm night’s rest! Retailing at approximately $20 this is a fantastic introductory hammock, perfect for lounging and the occasional overnight rest. But for the more serious campers you may want to upgrade. Furthermore, the hammock doesn’t come with straps so you need to purchase these separately. The Hennessy Hammock Expedition can be used for anything you want, whether that’s a chair, hammock, lounger or even a tent. It is made from 70 D oxford nylon – an extremely strong fabric. The zipper is a heavy duty black double slider YKK zipper. The hammock recommended height limit is 6’ tall, although taller users claim to have comfortable sleeping in this hammock. In addition, the weight limit is 250lbs. 50lbs less than Grand Trunk Nano Hammock. The Hennessy Hammock Expedition Hammock is designed to protect you from the rain, unlike the previous two hammocks in this review. The entry to this hammock is at the bottom so you can just climb in and slip off your shoes with no fuss or mess in the hammock. Coming in at approximately $130, this hammock offers more than the Grand Trunk Hammocks we have already discussed. If you are looking for more than a simple hammock to kick back on, this could be for you. 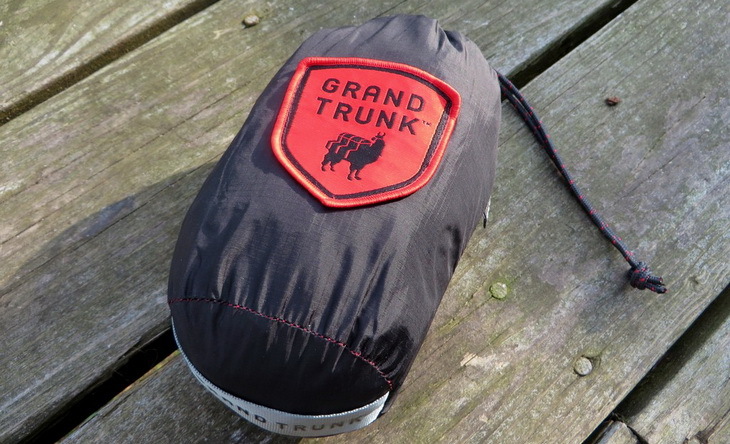 The Grand Trunk Double is very spacious, comfortable, lightweight and very durable. It hammock is made from 100% parachute nylon, this is a very durable material. The carabiners are also very strong and can support a great weight. 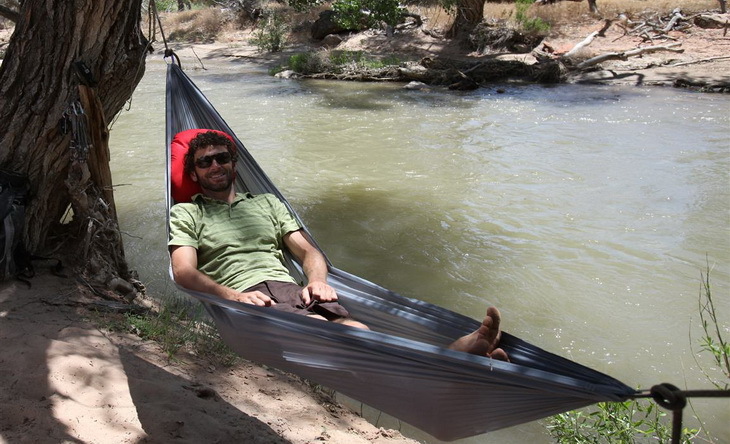 Like the other Grand Trunk hammocks featured in this review triple stitching us used. The capacity of the hammock is 400lbs – suitable for two people. Therefore, it weighs more than the other Grand Trunk hammocks. The durable nylon has a small amount of stretch, this ensures it doesn’t tear when touching something sharp such as a stray branch and it gives instead. It certainly stands up to wear and tear. 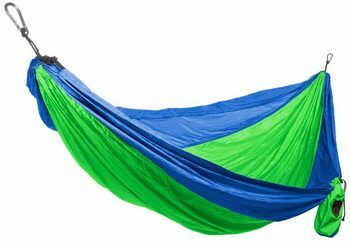 Due to it being a double hammock, it’s a longer and wider body than the other hammocks featured in this review, this allows for extra material to be wrapped around the body providing an extra layer of protection. However, to use the hammock in wet conditions you will need to invest in a rain fly. On its own it isn’t built to withstand harsh weather conditions. It is perfect for venturing out on dry summer days. This hammock is priced from $40 to $100. If you are wanting to snuggle comfortably with your loved one after a day of hiking this could be the hammock for you. That concludes our list of products. We have looked at 4 hammocks in this review. Each targeting a different type of user. In reading this you have discovered 2 ultra-lightweight hammocks suitable for one person, 1 hammock designed to replace a tent and withstand the harshest of wet weather and 1 hammock built for sharing. The Grand Trunk Nano Hammock is an ideal hammock if you are wanting a sleep system for summer nights and warm conditions. If you are day trekking and want to chill out and admire your surroundings, this is a good choice. Let’s have another look at the pro’s and con’s of this hammock. 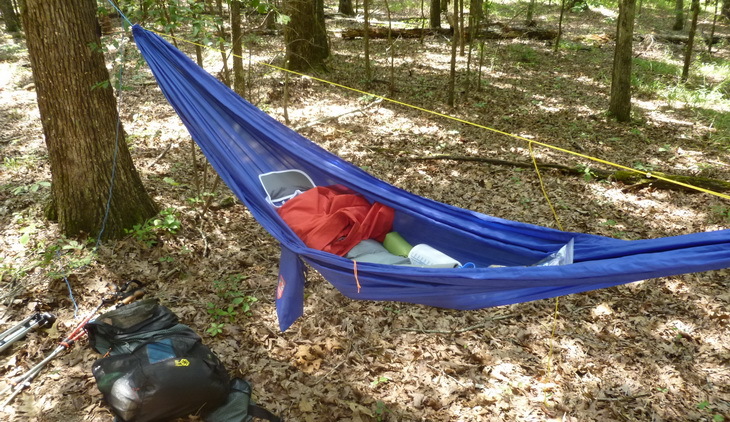 Lightweight: it is the lightest of all the hammocks we reviewed. Durable: made from 100% Ripstop Nylon it will withstand the test of time. Capacity of 300lbs: more than the other single hammocks featured. Around $70: if you use it often you are guaranteed value for money. Shorter and slimmer than most hammocks on the market. There you have it, 4 very durable hammocks. Each hammock is priced differently so if you have a budget this can help make your decision. If you are intending on using your hammock instead of a tent, then the Hennessy Expedition Hammock will be a great option for you. If you are just getting into the hammock game and beginning to go on day hikes and wanting a hammock to chill out on during this hike or in the park or even the back garden then the Grand Trunk Ultralight Hammock is perfect. Providing skies are clear and temperatures aren’t too mild you can ditch your tent and sleeping bag and turn your overnight bag into a day bag. 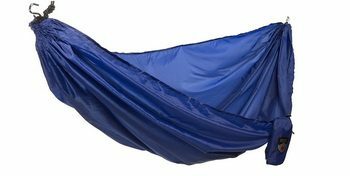 The Grand Trunk Nano hammock is the lightest sleep system for backpackers. Perfect for backpacking trips such as trekking around Southeast Asia or cruising the Northern Californian coast. Thinking about buying a hammock for the kids or for you and your loved one, then the Grand Trunk Double hammock will be a great buy. Very durable and super comfortable for individuals and couples. Lastly, Grand Trunk Nano 7 hammock, if you are willing to spend a little more than the introductory Ultralight Grand Truck hammock and will be using the hammock overnight and need that extra durability and comfort than the Grand Trunk Nano hammock will serve you very well. Did you use this product? If so, we’d appreciate if you shared your experience with us in the comments section below.